OTI is an experienced and big family attracting attention in the markets it operates thus far for its successful growth performance. Operating in the tourism sector with affiliates and main partners in 13 countries and over 5980 professional employees since 1992, OTI Group of Companies has gathered its affiliates together under the roof of OTI Holding Co. Inc. since 2006. Serving in the businesses such as tour operating, travel agency, inbound services, destinations management center, aviation, accommodation and security, OTI Holding includes numerous internationally leading brands of the tourism sector. 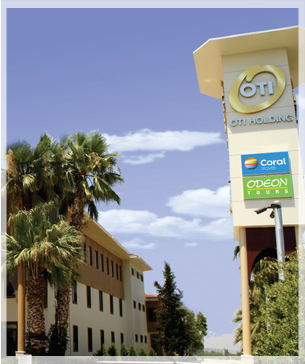 OTI Holding operates through its affiliates and partners in Turkey, Russia, Ukraine, Belarus, Poland, Germany, Georgia, Egypt, Thailand, Spain, Greece and the United Arab Emirates. Making breakthroughs without compromising on its quality and customer satisfaction principles, OTI Holding is setting sail for new markets and destinations.